This is one not to miss! PreSonus and UJAM have teamed up to offer Studio One users a copy of their amazing guitar VI Virtual Guitarist SPARKLE worth $129 completely FREE! 6 Videos Worth Watching Now If You Want To Know How The PreSonus Fat Channel Plugins Compare With Other Top Brands. We think these are 6 videos worth watching now if you want to know how the PreSonus Fat Channel plugins compare with other top brands. Some time ago Melda Productions announced an update to their entire plug-in range. 8.03 provides several new features along with several fixes and performance improvements. Brought to you with the support of Waves, In this 4th & final video of a 4 part free mini-series, Marcus uses the powerful Virtual Instrument - Waves Codex in order to find a complimentary Lead Synth sound to fit the song. In addition, he also uses some other Waves plug-ins including Enigma, S1 Imager, and H-Reverb to finalize the sound. The Fat Channel plug-in that is part of Studio One and the StudioLive series of mixers is already a much-loved plug-in. In a recent shootout this free plug-in stood its ground against some of the best industry plug-in emulations. 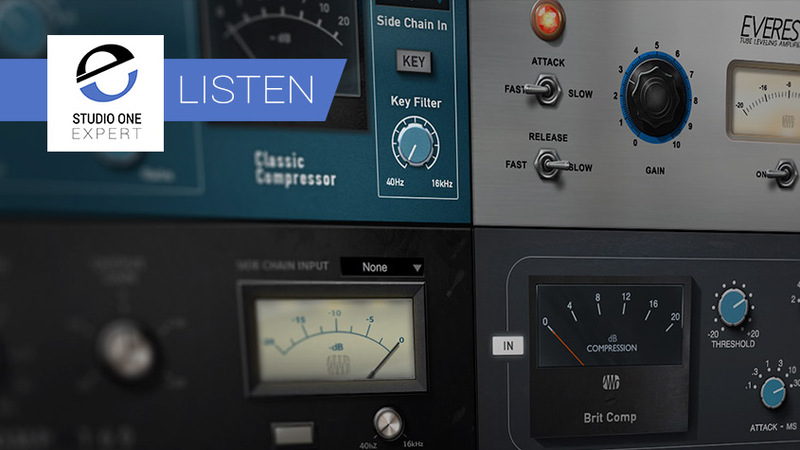 The Fat Channel Collection Volume 1 includes emulations of some of the most loved studio hardware around giving users access to both compressors and EQs for use live and in the studio, even better some of them are free. Brought to you with the support of Waves, In this first video of a 4 part free mini-series, Marcus takes a look at using the CLA-76 in parallel, and Waves Smack Attack in order to process a drum loop. Brought to you with the support of Waves, In this 4th & final video of a 4 part free mini-series, Marcus tackles the last element of his mix, and moves along to the Lead Acoustic Slide Guitar. Using the Scheps Omni Channel plug-in exclusively for all tasks. Brought to you with the support of Waves, In this 3rd video of a 4 part free mini-series, Marcus moves along, and begins to process the Bass & various Percussion elements using the Scheps Multi Channel plug-in. Brought to you with the support of Waves, In this 2nd video of a 4 part free mini-series, Marcus moves along from where he left off in the first video, and begins to mix the Drums & Acoustic Guitar using only the Scheps Omni Channel plug-in. How Good Is PreSonus Plugin Modelling? The Verdict. A week or so ago we decided to put the plug-ins found in the latest version of the PreSonus Fat Channel up against what are considered to be the best plug-in models around. As we said at the time we're not going to name brands but suffice to say the plug-ins we are comparing are from well-respected brands and cost a great deal more than Fat Channel... of course, it's free! Here is the result of both listening tests. Brought to you with the support of Waves, In this first video of a 4 part free mini-series, Marcus takes a look at using the Scheps Omni Channel on the Mix Bus to add some tonal shaping and colour to an acoutic based Cue.